1.2 The Forum will maintain a complaints handling database on which its staff will record and monitor the following information in respect of industry complaints arising from each code. number and percentage of complaints determined by the Consumer Forum to be outside the scope of the Code and the reasons for matters being registered as such. number and percentage of parties in breach of the Code which implemented rectification strategies. number and percentage of parties in breach of the Code which did not implement rectification strategies. type (Consumer or Service Provider), number and percentage of parties who appeal and the outcome. number and type of sanctions imposed and the outcome of rectification. number and percentage of Forum Participants who have implemented Code publicity and education activities. Compliance monitoring will be undertaken at regular intervals and on Service Providers selected by the Forum on a random basis with aim of monitoring the effectiveness of the Code. 1.4 Compliance monitoring does not aim to identify individual instances of Code breaches. The Consumer Forum will not have any responsibility for evaluating the adequacy of compliance programs of participants, or the adequacy of any end Products or Services. However, if the industry compliance monitoring identifies an individual instance of non-compliance, a confidential notification will be issued by the Forum Chair to the participant. This will notify the Service Provider of the compliance monitoring results and encourage their compliance with the Code. An invitation to the Service Provider to discuss the issue confidentially with the Forum will be provided. 2.1 Where a Code stipulates the need for routine compliance verification, Service Providers will be required to meet the compliance requirements stipulated in the Code. The Code may identify both the information required and the timing of routine compliance verification reports. Such routine compliance reports must be provided to the Forum. Where a verification report identifies non-compliance, advice will be issued to the Service Providers identifying a timeframe for rectification in accordance with the Code. Where the rectification timeframe is not met, the Consumer Forum has the discretion to encourage compliance and provide assistance to the Service Providers on a confidential basis. 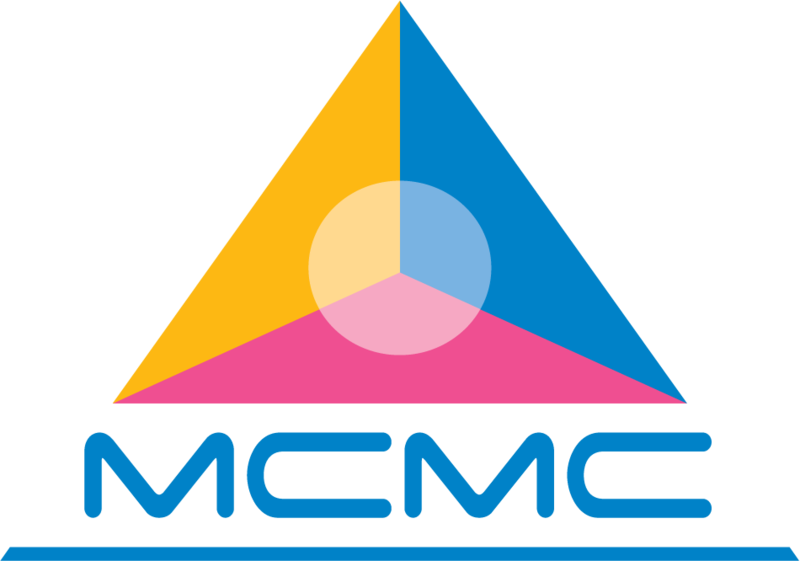 3.1 Regular meetings will be held between the Consumer Forum and the MCMC to ensure the Consumer Forum is aware of any emerging or universal issues with the Forum Codes, as highlighted by consumer complaints. 4.1 The Code and all sub-Codes will be reviewed at least every three (3) years or earlier as specified in the relevant Code. In addition, the Consumer Forum or Council may initiate a review of any Code as a result of Code monitoring activities. Target 2.2 Small number of Code breach as identified from compliance monitoring. KPI 2. Number of complaints against participants in the Code Target 2.1 Small number of Consumer/industry Code complaints. KPI 3. Number of proposed amendments to the Code Target 3.1 Small number of Code amendments proposed. KPI 4. Level of awareness of the Code amongst industry, consumers and interested parties Target 4.1 High level of awareness of the Code amongst industry, consumers and interested parties. KPI 5. Level of complaints received by the MCMC and other relevant organizations Target 5.1 Low level of complaints received. KPI 6. Number and level of serious Code breaches Target 6.1 Small number of serious Code breaches. Target 6.2 Reduced level of seriousness of Code breaches. KPI 7. Level of adherence to Code provisions Target 7.1 High level of adherence to Code provisions. 5.1 As a result of a Code review, the Consumer Forum may recommend the amendment to a Code. The Consumer Forum will have the responsibility for Code amendments as outlined in the Consumer Forum’s Operating Manual. 5.2 Amendments will be made with adequate publicity of the amendments prior to publishing of the amended Code in final forming accordance with Section 95 of the CMA 1998. 6.1 Complaints about non-adherence with the Code and sub-Codes will arise in two broad categories, Consumer complaints and industry complaints. 6.2 In handling complaints, the Forum will operate a comprehensive, objective and impartial mechanism to undertake investigation, apply sanctions and provide for independent appeal. 6.3 In the event the Forum finds that a complaint does not fall within its jurisdiction, the Forum will refer the matter to the appropriate body. 6.4 All complaints by Consumers will first be lodged and dealt with by the relevant Service Provider in accordance to Part 3, 4. In the event the Consumer remains dissatisfied with the resolution of the complaint by the Service Provider after all avenues set out in Part 3, 4 have been exhausted, the Consumer may lodge a complaint with the Consumer Forum. 6.5 Where the complainant or the Service Provider is dissatisfied with the Consumer Forum’s decision, the dissatisfied party can refer the complaints to the MCMC. 6.6 Industry complaints are those made by a group comprising a minimum of two (2) members of the industry against a Forum Participant for alleged breach of a Code. Industry complaints will also include complaints by a group comprising a minimum of two (2) organisations representing consumer interests against a participant.All Industry complaints will be lodged directly with the Consumer Forum and not the Service Provider. Any group, except Service Providers who choose not to be members of the Consumer Forum, may lodge these complaints. 6.7 The Forum will coordinate the administration of the Code adherence system, complaints and administration of sanctions. past conduct of the Service Provider with respect to compliance with the Code. representations made by the Service Provider with regards to the alleged breach. 6.10 In the case of continued breaches of registered Codes, The Forum will use its discretion as to whether to refer a matter to the MCMC for its consideration. The Forum will use the full mechanisms of this complaint handling and sanction process, before referral to the MCMC. 6.11 Parties wishing to appeal the decision of the Forum must do so in accordance with the procedures laid down in the Operating Manual. 6.12 The Forum will monitor the adoption of sanctions, rectifications and appeals. 6.13 Subject to this code and any requirements at law, any activities by the Forum in administering this Code will be undertaken on a confidential basis. Any confidential information disclosed by a party to the Forum in connection with a complaint must be kept confidential by the other party to the complaint, subject to any requirements at law. 6.14 Before a party provides confidential information to the Forum, the Forum and the other party to a complaint may be required to execute confidentiality agreements (in the Forum’s standard form) in respect of that information. 6.15 The Forum will keep a confidential register of investigations and their outcomes. 6.16 The Code seeks to encourage compliant behaviour and does not provide a forum for individual restitution. 6.17 The Forum will provide checkpoints beyond which parties (the complainant and the respondent) will be required to bear the costs for complaints handling by the Forum. To protect all parties from escalation of costs and to encourage parties to consider alternative ways to resolve the issues, the Forum will inform parties of the cost implications of proceeding with the complaints. 6.18 Service Providers must offer compensation to customers in cases of breach of a Consumer Code and any relevant mandatory standards that have been issued and will be issued from time to time by Malaysian Communications and Multimedia Commission regarding a matter dealt with in this Code or the said Mandatory Standard. It is accepted that compensation is not meant to penalise Service Providers nor to unjustly enrich customers. As far as possible customers are to be placed in the same position they were prior to the breach.Compensation packages may be in monetary or non-monetary form and may take the form of refund, rebates, waivers, free activation, etc. It is also recognized that compensation differs from industry to industry and specific compensation packages relevant to industry will be elaborated further in the sub-codes. Compensation is not intended to and shall not amount to a penalty on Service Providers whether in the form of special or consequential losses or damages or otherwise.